Composite materials are produced by combining a reinforcing fibre with a resin matrix system such as epoxy. 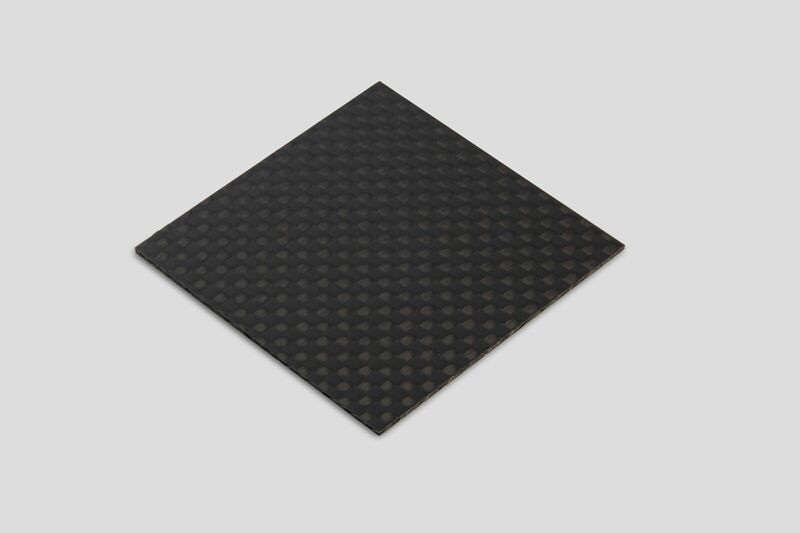 Carbon fibre reinforced composites have exceptional mechanical properties. These strong, stiff and lightweight materials are the perfect choice when lightweight and superior performance are important. In a composite material, the fibre carries most of the load and is the major contributor to the composite material properties. The resin helps to transfer load between fibres, prevents them from buckling and binds the materials together. Stacking carbon fibre fabrics one upon another and then infusing the stack with resin under vacuum produce the composite sheets. The sheets have one smooth glossy resin rich side and the other rougher side showing the fabric weave detail.